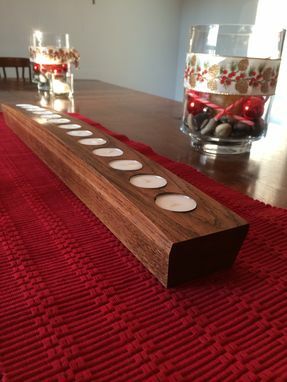 The candle bridge in the photo was a wedding gift for friends. 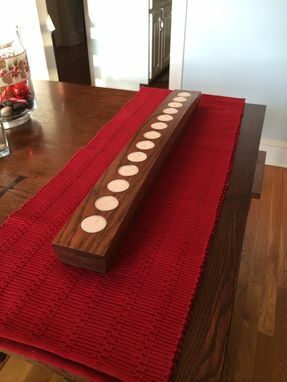 The name of this limited production piece is the Bennett Candle Bridge. This perfect table or mantle accessory is really beautiful and sets off a wonderful light when desired. 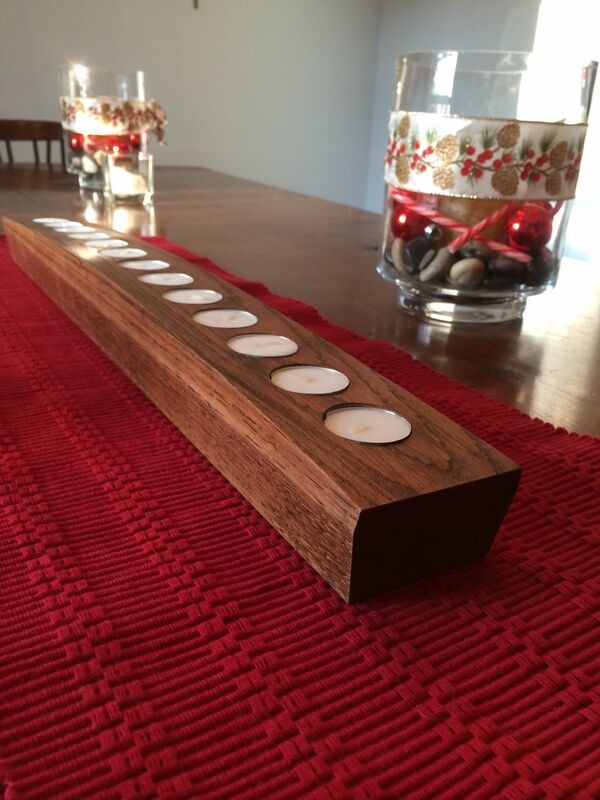 The candle holder features a smooth arched top and the sides and ends relieved to visually lift the piece. 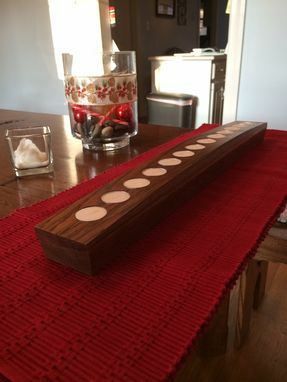 The pictured candle holder is made of white oak however I can accommodate custom woods and any number of candle holes upon request.